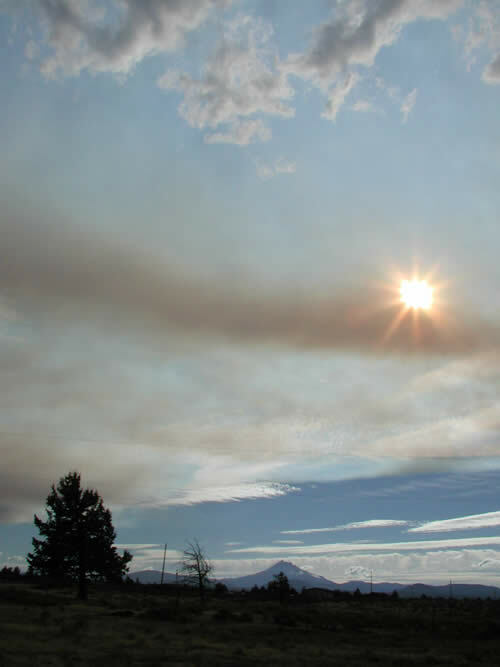 Billowing smoke goes with the territory in Central Oregon. The Mid-West has its tornadoes, the south its hurricanes and floods, and California its earthquakes. Wildfires seem to be nature's seasonal plague on our state. In early August I witnessed the Biddle Pass Fire that burned near Warm Springs. Last weekend we drove through smoke from the still burning GW Fire. Not catching the news about the fires until last night, I assumed the two fires were one and the same. 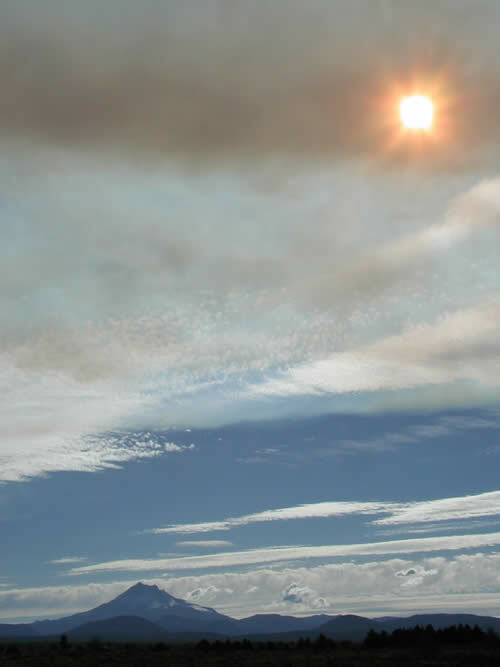 From highway 97/26, the smoke from each had a similar path and apparent source. 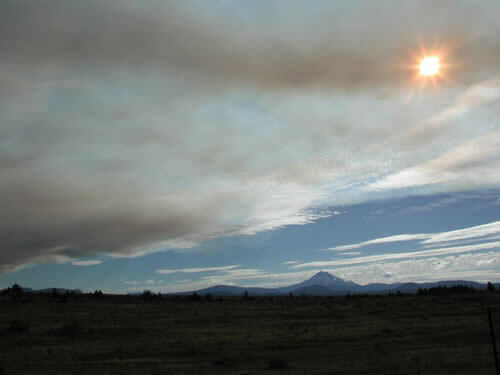 Any given summer in Central Oregon is host to a number of fires. This is the first time I can remember seeing the effects firsthand (well, perhaps secondhand compared to those directly affected or endangered). An album that shows photos of the Biddle Pass Fire. Here are some photos we took of the GW Fire on the way home from the cabin over Labor Day Weekend.